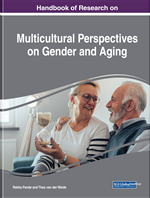 This chapter looks at the changing demographics of the world and examines how the needs of an aging population make it imperative for governments to factor old-age policies and programs in national planning. The chapter then interrogates the situations and problems of the elderly in India, focusing on old women and old widows who are distinct in their socio-economic and psychosocial needs. It dwells on the slowly changing perceptions and attitudes of both the old and the young towards each other in urban centers and stresses how rural India remains largely untouched by these changes. One of the consequences of development has been the gradual increase in longevity of human life. This is a global phenomenon and more people today are living longer across the world. Japan, for example, is a country where due to a declining birth rate and an aging population, the growth rate of the population has been slow and working-age population is projected to decline by nearly 4% by 2022 (Help Age, 2014). As a result, a sizable population consists of older citizens. Similarly, the Scandinavian countries also have slow rates of population growth and national policies have been tailored to suit the needs of the citizens. Australians too are living and working for longer. By 2013 the number of Australians aged 65 and over had increased by 533,000 from five years previously, and 17% of people aged 45 and older expected to work beyond the age of 70 (Help Age, 2014). Thus, as a consequence of growing life expectancy, many countries have a substantial number of aged persons as part of their populations, a part that is also expected to increase steadily. Ageism happens when this population- of people above 60- are discriminated against. In other words, discrimination on the basis of a person’s age is called “Ageism”. Demographics indicate that the overall impact of how old or young the population of a country is, influences government policies and the nature of its programmes and at least some of the resources of a nation are customized to the needs of this section of the population. The nature of social schemes that run, the kind of work that NGOs do, even the focus of medical research that is done, is impacted by the demographics of a country. It is interesting to note that national policies in countries where there is a much faster rate of growth, and where the young are more in number, have different trajectories in contrast to those countries where the population is older. A major test that faces societies with a substantial older citizenry is how to harness the potential contributions of the aged for constructive purposes rather than seeing them as a burden. The challenge lies in perceiving them, as in fact they are, a resource pool with a variety of expertise, a reserve that has been generally neglected and under-used. However, a twin challenge that this extended life expectancy poses to the government is also the issue of funding and supporting the aged population. Both social and economic resources are necessary if the sunset years of a person’s life are to be lived qualitatively. Some of these are provided by the Government while others come from individual resources. In America for example, the majority of senior citizens benefit from the Social Security Scheme - a government social insurance plan to which people contribute through taxation during the time they are employed. It forms their major source of income after retirement. There are several parallel schemes run at the state, national and local levels for old persons. Local initiatives such as “Campus Kitchens Projects and soup kitchens that cater to the needs of old people so that they are not hungry or socially isolated are common. However, writing for Global Age Watch Index 2014, Mary O’Hara of Los Angeles states that the modest nature of social security payments and the high reliance on it means that the US has a higher incidence of elder poverty than most other countries (Help Age, 2014).